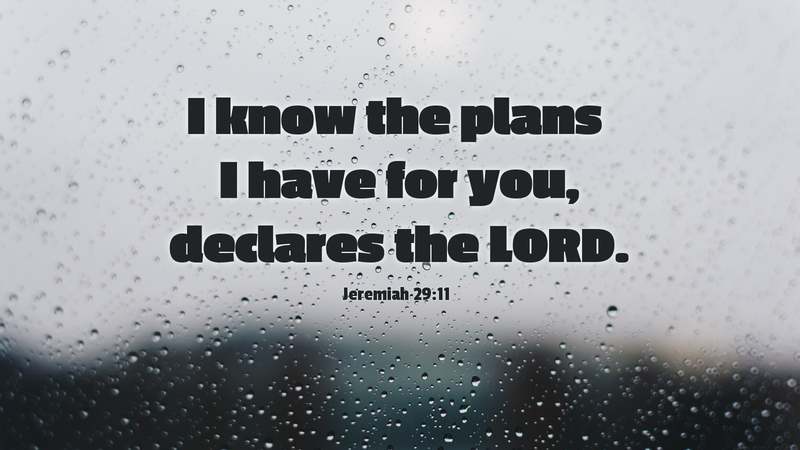 “For I know the plans I have for you…” These are some of the most comforting words in scripture. They remind us that our Lord always provides, and even when our plans fall through, his plans remain firmly in place. But there is more to our future than divine planning. The Hebrew word commonly translated as “plans,” can also mean “thoughts” or “intentions” (Holladay). Not only does our Lord have plans for us, he also thinks about us. The Lord thinks about you and me and all of his people. He intends for us to be whole and to know the fullness of his goodness and love. And so, he sent Jesus to live among us, suffer, die, and be raised to give us a future and hope. Still, there are times when we feel abandoned, forgotten, and alone, times when we, like the Israelites in Babylon, feel forsaken by the Lord. Our view of the future becomes obscured by present sufferings, and our plans are rent asunder. But even in these times, the Lord still thinks of us. He never stops thinking of us, and no matter what, we can be sure that our future remains safe in his hands. Prayer: Gracious Lord, thank you for thinking of us and for giving us a future and a hope, through Jesus Christ our Lord, Amen. Holladay, A Concise Hebrew and Aramaic Lexicon of the Old Testament, 1988, p 191.